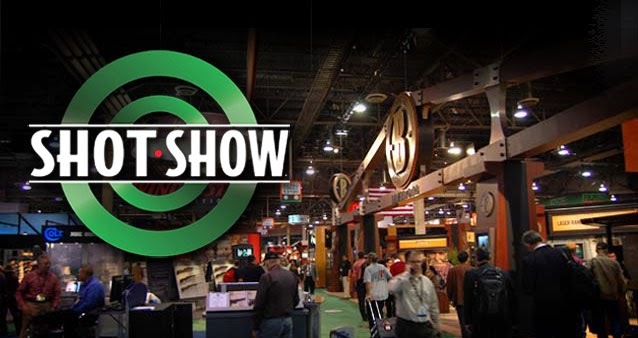 Las Vegas, NV—Firearms, and accessory manufacturers, along with law enforcement and hunting related exhibitors filled the Sands Convention Center last week. Some 67,000 people attended and Sin City got a needed financial boost. Local businesses benefit along with the tax coffers. What’s so amazing is that cities like Chicago, Los Angeles, and Washington, DC will never get that financial benefit of this or the NRA Annual Meeting, Convention and Exhibit. If we ever came to these cites we’d all wind up wearing handcuffs and watch our property confiscated. With all the guns and gun toting attendees there are never accidents or any kind of violence in the cities we visit. The crime rate goes down because the local thugs all know they are in for a serious challenge if they try and victimize these convention visitors. More guns never brings more crime. The SHOT Show is huge. Covering the show as a full time multimedia journalist is impossible for me because I have certain commitments I must keep that prevents me from getting out on the show floor with my camera gear. This year I brought a tiny GoPro 3+ camera and shot video with my pals at Eagle Grips both in the Convention Center and after hours. I have put together a 13 minute video with some cool music that’s blocked in Europe and by some cell phone and mobile devices. If you can, please enjoy the video. Thanks for the view of the show. I really enjoyed that. Wish i'd known about it. As a long time TV news shooter I have to comment on this video. It breaks so many long established rules. However it took me to the event like I was there with the photographer. I was walking, dining, riding through the Las Vegas Strip and viewing the show first hand. This was great point of view video that the GoPro camera. was intended to capture. It was different. There was obviously a stedicam type device used to get those smooth moving shots. I would have preferred a few quick stops with interviews along the way. The real test for me was the 13 minutes seemed like only three or four. For TV news 13 minutes is nearly a half hour show with commercials. The creativity here was innovative and refreshing! . I had to guess just how you got some of those unusual overhead shots. I watched the video three times already. Your video left me wanting to see more!